The big Saturday evening fixture in the Premier League is Manchester United coming down to the Emirates Stadium to take on an in-form Arsenal side who have haven’t lost in the league since the start of November – a run that has seen a north London derby win over Spurs and an impressive away win at high-flying Burnley. 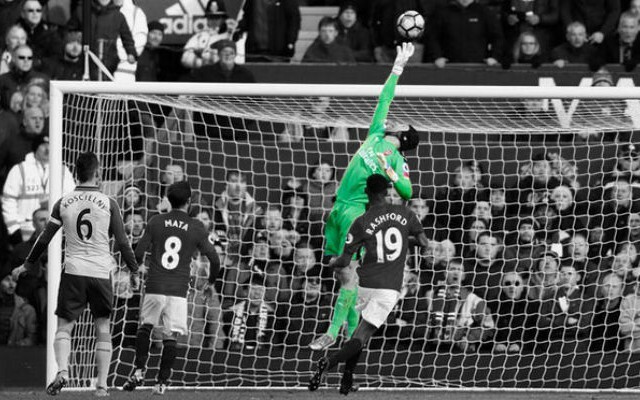 Interestingly this is a fixture that usually results in goals scored, in-fact in the last 20 meetings between Arsenal vs Man Utd there has only been two 0-0 draws. The last goalless encounter came back in 2014, while the most recent meeting between the two in London was a 2-0 victory for the Gunners back in May. Neither side will want to lose but both will also know drawing on Saturday evening won’t be much good in the title race if either is to catch Manchester City. So goals are surely to be expected and history suggests that will be the case. 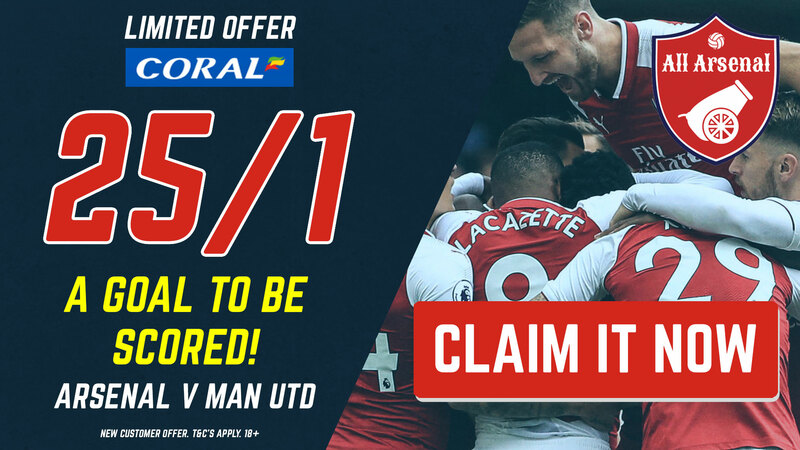 You can now back either side to score a goal at the Emirates with incredible odds of 25/1 with Coral – make sure you claim it here before it expires ahead of kick-off! Remember if you’re not traveling to the game on Saturday afternoon you can watch the Arsenal vs Manchester United live stream on a free trial (see the banner below) and you can learn more about that at our dedicated live streaming guide – make sure you never miss another kick of the ball this season.